We offer a range of educational services, with a focus on musicality. We are available for a variety of residency programs. 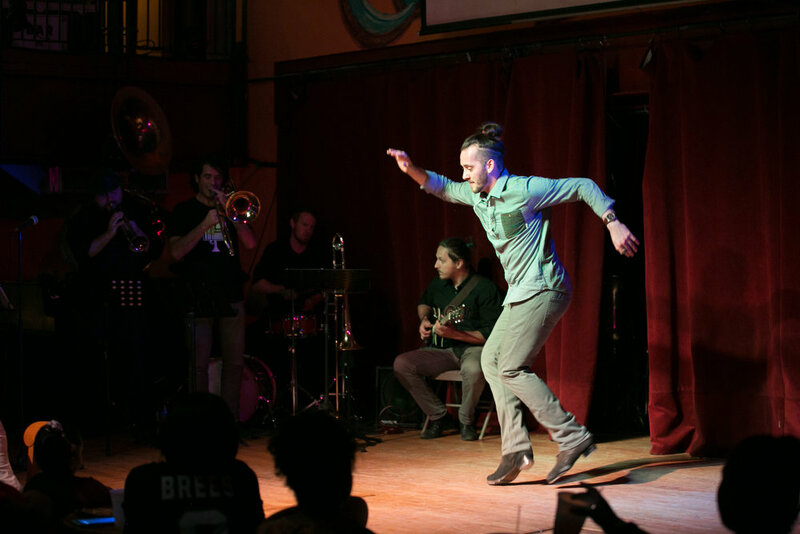 Our members are especially interested in exploring the intersection between music and tap dance whether through education, dialogue, or performance. In addition to self-contained performances, Tap That Brass is able to integrate into larger programs by providing live music accompaniment or strictly tap choreography/improvisation. We are also happy to perform alongside other ensembles. Tap That Brass, Inc. is excited to produce the first official documentary about world renowned tap company, MADD Rhythms. From t-shirts to tanks, shop our favorites!